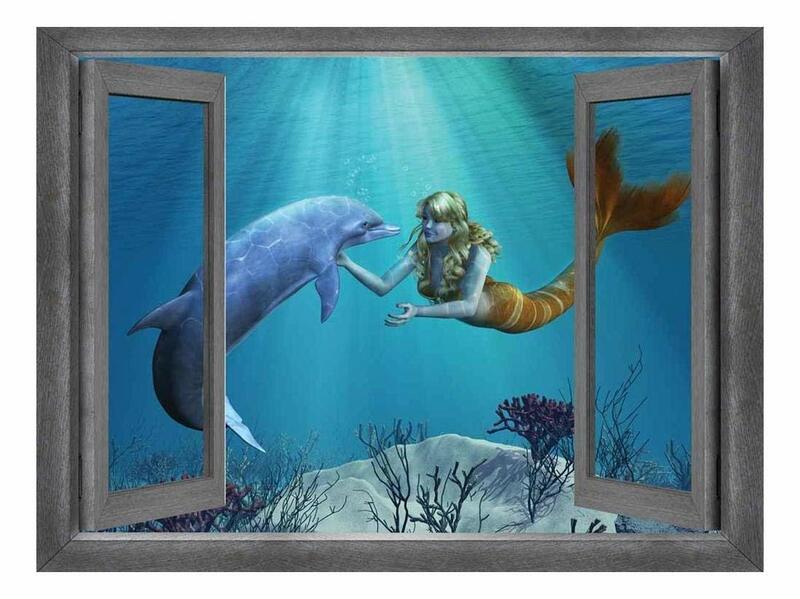 Perfect addition to my daughters new mermaid themed room. Easily applied to the wall and it doesn't peel away. I purchased this to put in our grandkids play room/bedroom.They were elated. I love this!!!! Looks amazing on the wall? This poster is good quality but the mermaid was a little too risqué for a child's bedroom.